Editor's note: Here's an inspiring update on a cool project some friends of ours are doing in India. 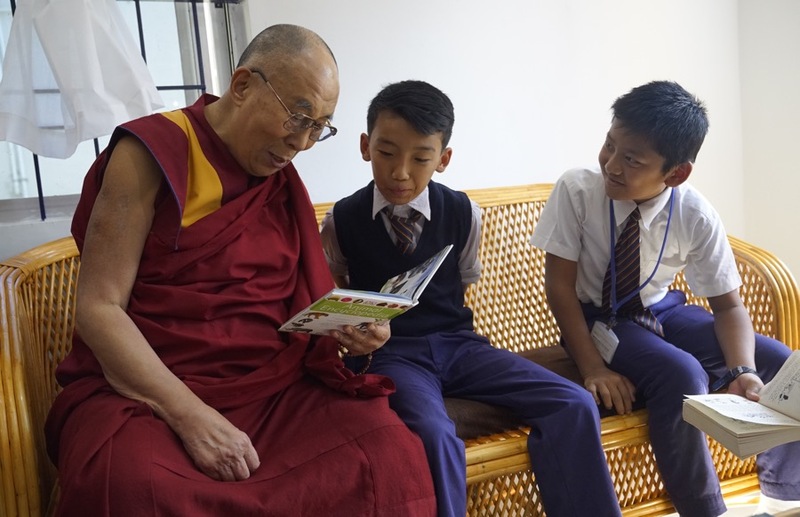 About a year ago, Boing Boing readers began contributing to help the Tibetan exile community in Mundgod, India build the region's first free Tibetan public library, with the support of His Holiness the Dalai Lama. Shiwatso Library is now open for reading! “We have visitors checking out books from the Library and also coming to read,” says Phuntsok Dorjee, who is one of the organizers, and was raised in one of the refugee settlements there. Phuntsok and his volunteer team really want Shiwatso Library to become a center for education for Tibetan refugee kids, beyond books alone. Perhaps you would would like to donate your used photo or video camera, or donate funds for Shiwatso Library to purchase digital cameras and audio and video recorders for the library patrons. The Tibetan Library project we shared with Boing Boing readers has been filled with books, thanks to your generosity. What began as small idea in 2010 has finally come to fruition this year, and we would be remiss if we do not acknowledge some of the people who invested time and resource into making it possible. With your support and the support of many others, this has been possible and now the community has a wonderful space that aims to foster learning, inspire self-empowerment and promote positive social change. The construction of the building was completed in November and with a substantial number of books received through our books donation drive, many who knew through your blog, we were ready to open our doors. We ended the year 2016 on a high note with the auspicious inauguration by His Holiness the Dalai Lama on 22 Dec 2016 and we are officially opened to the public. “A special feature of the human brain is the capacity to discern what is right and wrong and to take into account, the long and short-term advantages and disadvantages of things, and education is the key to opening the door to them. Since our inauguration, we have had many visitors, young and old – curious and excited, drawn by their love for books and a yearning for a quiet space. For us, it is a beginning of our work to cater to the inquisitive minds of the young children and help them in their growth as an individual. We have come to realize that when access is assured, we offer the opportunity for the people and a community to flourish. We understand the profound change in the way libraries have started to mould themselves into something that is bigger and better for the people in the community they are in. The libraries are now not just a collection of books but much more that people can come for, so our next project is to evolve ourselves into a centre for learning. We are starting to build our calendar for the year consisting of activities ranging from arts and crafts, book talks, yoga & meditation, photography, music and movie nights. A library expert who is also a dear friend advised us to hold off buying new books for the moment, so we have decided to focus on the children’s corner. We have de-activated our books wish list for now and have added other materials required to organize the activities we have planned for the coming months. Our Amazon India wishlist is here. We are also collecting used cameras which the children can use as part of their photography sessions. These can be either point & shoot or the DSLR versions. If you wish to donate, we request you to please contact us at shiwatsolibrary@gmail.com and we will organize a delivery address which is convenient for you. Our program to include activities based on Tibetan language, culture and music will require products that are not available in Amazon, if we would really appreciate if you could please make a donation towards that. Here is how you can make tax deductible donations from the United States. We really appreciate your help and support and wish you all the best. Photographs we’re seeing online today, including one by Mark Lambie of the El Paso Times, below, capture the desperation of the unknown number of men, women, and children currently penned in, inside cages, under the Mexico-US international bridge, in El Paso, Texas. The U.S. will deploy an additional 5,200 troops to the U.S.-Mexico border, said White House officials today. The deployment will more than triple the military presence there, and is presumably a Trump administration response to the so-called “Migrant Caravan,” about which white supremacists in the United States are currently fixated.